The classic sissy dress in black with gold accents is a sure fire winner. 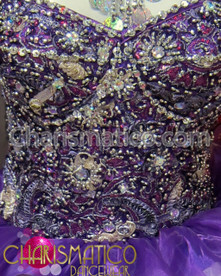 All over beading covers the corset, and there is a matching necklace. 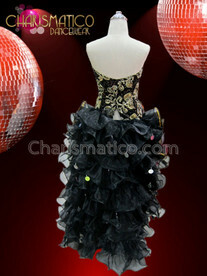 The shimmering organza 4 color ruffled skirt has a lovely unexpected metallic shimmer on the trim.